Bosboger system, Heimatar region. On the 17th of March at 23:35 EVE Standard Time, a battle unfolded in the system which resulted in the destruction of dozens of capital ships and more than 200 billion ISK of damage. The battle was fought between Did he say Jump [JMP-N] and Siege Green. [SSGRN]. The two alliances have been embroiled in a bitter war over the moons and planetary customs offices of the Heimatar region. The fight in question was instigated by Siege Green.. The alliance had reinforced a couple of towers in Bosboger belonging to Did he say Jump. One of the towers exited its invulnerability phase, prompting Did he say Jump to bring force auxiliaries to restore its shields. To guard the operation, a Machariel battleship fleet was organized and brought to the field. A few combat carrier squadrons were also put on standby just in case. Siege Green. organized its own Machariel fleet supported by combat carrier squadrons to contest the tower. Spotting the Did he say Jump fleet, the Siege Green. force bridged to the system in a safe spot before warping in near the hostile Machariels. The alliance had also jumped in its combat carriers and warped them at long range of the hostiles. Did he say Jump reacted immediately, bringing in its own combat carriers into the fray as the two sides proceeded to clash. The opening volleys saw each side lose a ship but before long the fight became static. The two fleets had force auxiliaries in lieu of logistics wings. The ships were able to quickly repair whatever damage the opposing fleet dealt, forcing the two fleets to attempt rapid target switches in the hopes of catching the other side off guard. In the carrier front things weren’t advancing either. The two sides fielded dozens of fighter squadrons but instead of focusing on the sub capitals or each other were engaged in space superiority combat. More and more fighters were destroyed in dogfights as the carriers worked to neuter each other, contributing to the lack of firepower on the field. Realizing that at the current rate no side could break the other, the opposing fleets targeted each others’ force auxiliaries. Battleships and carriers applied energy neutralizers to force auxiliaries in the hopes of draining their capacitors and effectively shutting them down. However taking down such well armored ships with so little damage present on the field proved to be a long and arduous task even with the help of the energy neutralizers. In the meantime, both sides started bringing allies to the field to bolster their ranks and achieve a breakthrough. Shadow Cartel [SHDWC], ally to Did he say Jump in the war, quickly organized combat carriers and dreadnoughts of its own and started bringing some of them to the field. The alliance had knowledge of the timer and remained on alert though believed Siege Green. would not contest the timer. Proven wrong, the alliance’s fleet commanders rushed to aid their allies. On Siege Green.’s side, Lost Obsession [FATE] was contacted. The alliance had supported Siege Green.’s efforts in the war and answered the call willingly. A combat carrier fleet was assembled with a squadron of dreadnoughts in tow. A separate cynosural beacon was secured for the fleet and lit 100 kilometers from the growing maelstrom near the tower. 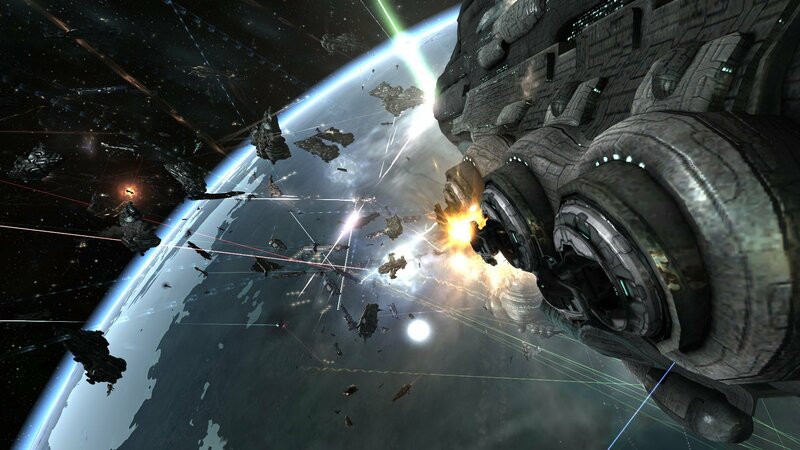 This allowed the Lost Obsession fleet to jump in, its combat carriers sending fighters to aid Siege Green. as the dreadnoughts prepared to snipe from their position. Shadow Cartel saw this and reacted, bringing its own cynosural beacon and lighting it on top of Lost Obsession. Into the field materialized Shadow Cartel’s dreadnought squadron. The newly arrived dreadnoughts entered their siege cycles and opened fire on the Lost Obsession’s capitals, essentially starting a second brawl on the grid. In the main sub capital brawl turned capital engagement, Did he say Jump and Shadow Cartel started bringing more of their dreadnoughts to the field along with a steady stream of combat carriers. These dreadnoughts were used to deal with the Siege Green.’s force auxiliaries which proved tough to crack. Siege Green. saw the danger they posed and targeted them immediately, concentrating its sub capital firepower in order to remove them. Both sides started trading capital ships with Siege Green. forced to bring in more and more force auxiliaries or risk a total loss of its sub capital fleet. Even as the capital exchanges raged near the tower, the majority of the Siege Green. combat carriers focused on one task and one task only: Achieving fighter superiority. As both sides traded capital ships rather evenly where the Machariel fleets clashed, Did he say Jump and Shadow Cartel were losing fighter squadrons by the freighter load. Siege Green. overwhelmed its hostile counterparts with the sheer number of space superiority fighters fielded and gained an early advantage that would manifest itself later. However things were going bad in the Lost Obsession\Shadow Cartel brawl. Shadow Cartel managed to destroy the entire Lost Obsession dreadnought force, losing only a few ships in return. Lost Obsession attempted to redirect its fighters to aid the besieged dreadnoughts but by then it was too late. The Shadow Cartel dreadnoughts triumphed over their Lost Obsession counterparts and proceeded to target Lost Obsession’s force auxiliaries next. The force auxiliaries could do little to tank the incoming damage of an entire dreadnought squadron and were disposed of within the space of a few minutes. With their force auxiliaries gone, the Lost Obsession combat carriers lost their logistics backbone, a fact Shadow Cartel quickly exploited. One by one the combat carriers caved in to the remorseless barrage, the majority of the fleet forced to warp out or risk total annihilation. With this engagement won, the Shadow Cartel dreadnoughts exited their siege cycles and joined the bulk of their forces in the main battle. Lost Obsession may have suffered a defeat but was not broken. The surviving combat carriers and fleet members who were in the process of re-shipping simply merged with the Siege Green. fleet. This saw Lost Obsession return to the field, its combat carriers joining Siege Green.’s and bolstering their ranks. With both sides giving their full undivided attention to the main fight it became even bloodier. The force auxiliary and dreadnought trade off continued without pause. Siege Green. and Lost Obsession kept re-shipping though, bringing fresh force auxiliaries to the field to replace their losses. Did he say Jump and Shadow Cartel weren’t able to match the zeal of the attackers, resulting in their sub capital ship losing its logistics backbone. With the force auxiliaries supporting them gone, the Did he say Jump Machariels became easy prey to their hostile counterparts. Siege Green. saw this and took advantage, focusing its own Machariels’ firepower on them. In rapid succession, the majority of the Did he say Jump battleship fleet was destroyed, the mainline ships torn apart in continuous autocannon fire. However, the sub capitals had lost their importance in the battle. The two sides had diverted all their energy into the fighter combat. Dozens of smaller engagements occurred as space superiority fighters fought each other across the field. Carriers kept pumping more and more fighters to replace losses as the attrition proved high for either side. Yet as the battle dragged on, the fighter squadron losses started to impact the fighting. Combat carriers found themselves with empty hangars, having used and lost their entire fighter contingent. Did he say Jump and Shadow Cartel in particular had fallen behind Siege Green. and Lost Obsession in the race for fighter dominance. The two alliances had put less emphasis in the start of the battle on space superiority and that had cost them in greater fighter losses. By the time they tried to counter Siege Green. and Lost Obsession’s fighter swarm it was too late. The attackers had effectively neutered their combat carriers, making them useless. An attempt was made to bring replacement fighters to the field but the local markets proved exceptionally poor, resulting in their scarcity. Shipping more fighters from a major trade hub was deemed improbable due to the time needed to haul the replacements to the field. This problem left Did he say Jump and Shadow Cartel seemingly helpless before Siege Green. and Lost Obsession, who could finally press their advantage. This forced Shadow Cartel to play its hand. The alliance had gathered 25 super capitals and prepared to jumped them into the fray. Facing imminent defeat, Shadow Cartel fleet commanders gave the order and the massive ships materialized in the middle of the battlefield. Titans landed and targeted force auxiliaries and combat carriers then activated their doomsday devices. Beams of light shot from the behemoths and hit their targets, demolishing them in the process. Super carriers let loose their own fighter squadrons and prepared to retake the space dominance from the enemy. Seeing this, Siege Green. and Lost Obsession fleet commanders knew they had nothing to counter Shadow Cartel’s escalation. With exhausted pilots and mounting losses, the attackers made the only sensible choice of retreating. Combat carriers warped off or jumped out of the field with whatever dreadnoughts and force auxiliaries remained. Those still stuck in their siege and triage cycles would be later picked off by the defenders. The Siege Green. Machariel fleet followed suit and warped out, leaving the grid in Did he say Jump and Shadow Cartel’s possession. Having won the battle, Did he say Jump and Shadow Cartel extracted their own forces, deploying instead a Proteus strategic cruiser fleet to guard the field. This was done so the alliances could loot the many wrecks littering the tower grid in order to recoup some of their losses. Once done, the force extracted with haulers filled with salvaged modules. The tower itself was repaired without further interference, allowing the defenders to claim the strategic objective as well. Thus ended the carnage in Bosboger. Battle report for Bosboger can be found here. All told the battle lasted 54 minutes with Time Dilation not reported. The system itself held 306 pilots at the height of the fighting. Numbers wise it is hard to pin down how many pilots each side fielded due to multiple re-shipments and the constant escalation causing more pilots to join in during the fight itself. Both sides had lost count of their own respective fleets members’ total but it is believed that Did he say Jump and Shadow Cartel had 180 pilots present by the end of the fight while Siege Green. and Lost Obsession brought nearly 130 pilots to the field. Did he say Jump and Shadow Cartel lost a combined 62 ships including 12 dreadnoughts, 9 force auxiliaries, 2 combat carriers and 29 battleships for a total of 90.12 billion ISK damage. Siege Green. and Lost Obsession lost together 63 ships including 10 dreadnougts, 16 force auxiliaries, 18 combat carriers and 2 battleships for a total of 122.77 billion ISK damage. Tags Bosboger Did he say jump Heimatar Lost Obsession Shadow Cartel Siege Green. voLs2R Thanks so much for the post.Really thank you! Really Great. I actually wanted to make a brief word so as to say thanks to you for all the nice techniques you are showing at this website. My time consuming internet lookup has at the end of the day been paid with incredibly good facts to write about with my close friends. I ‘d suppose that most of us site visitors actually are rather blessed to live in a perfect website with very many perfect people with very beneficial tips and hints. I feel quite blessed to have used the weblog and look forward to really more fabulous times reading here. Thank you again for everything. Hey! I simply would like to give an enormous thumbs up for the good information you’ve here on this post. I can be coming again to your blog for more soon. Its like you read my mind! You appear to know so much about this, such as you wrote the ebook in it or something. I feel that you simply could do with a few % to drive the message home a bit, but other than that, that is magnificent blog. A great read. I will certainly be back. Thanks – Enjoyed this post, can you make it so I get an alert email every time you publish a new post? vj6qqL wonderful issues altogether, you simply gained a emblem new reader. What may you recommend in regards to your put up that you just made a few days ago? Any positive? Normally I don’t learn post on blogs, however I wish to say that this write-up very compelled me to take a look at and do it! Your writing style has been amazed me. Thanks, very great post. I intend to start a blog site where I can talk with people as well as have them react to my blog sites. Not myspace or facebook. I tried blog owner but the only blogs I could locate had to do with international warming as well as weapons. I desire some where that I can open up an account as well as state what I really feel and individuals react to my blogs as well as I can reply to theres. If anyone could help me that would be wonderful!.